There’s nothing like acquiring a new piece – or entire collection – of furniture to update the look of your home’s interior décor. As a former interior designer myself, I can attest, even a simple change can breathe new life into your living space. 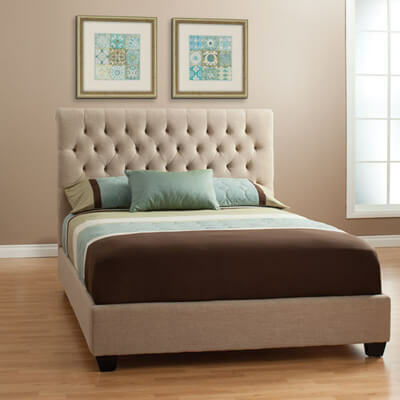 Personally, I’m visualizing this Chloe Bed in our master bedroom. Not so sure if Ron is enjoying the app as much as me – hehe. “You’ll find Bloopers” at most Jerome’s locations. You know, overstocked, blemished, and my “what the heck was I thinking?” furniture. And Prices? I’ve cut ‘em to the bone to make sure these “Bloopers” go fast. But they’re mostly one-of-a-kinds… so when they’re gone they’re gone! 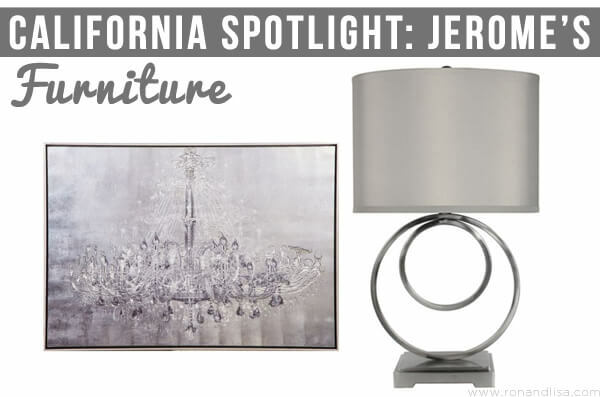 Jerome’s offers furniture for every room in your house including kids, office and even outdoor spaces. If you live in southern California, be sure to stop by one of their showrooms for a visit (or browse online from the comfort of your home). Don’t forget to sign up for their e-newsletter to receive a free digital copy of their HOME magazine! Got a favorite piece you want to share? Let us know in the comments below. What an awesome idea and feature. It definitely makes things a lot easier, and takes a lot of the guessing and stress out of buying new furniture and other things for the house. I also like to buy eco-friendly items, so found the information you provided very interesting. It’s definitely something I’ll have to consider the next time I’m buying some new household items. Thanks for your feedback Kelly! We, too, were really impressed with so many of the featured Jerome’s offers to make the shopping experience easy for the customer. We also love that it’s family owned + operated :) Keep us posted on your eco-friendly purchases!